At the introduction of the German Film Festival 2016, the impression was given that a German Comedy is a diamond in the rough indeed, however, I do believe 'The Most Beautiful Day' certainly shines. 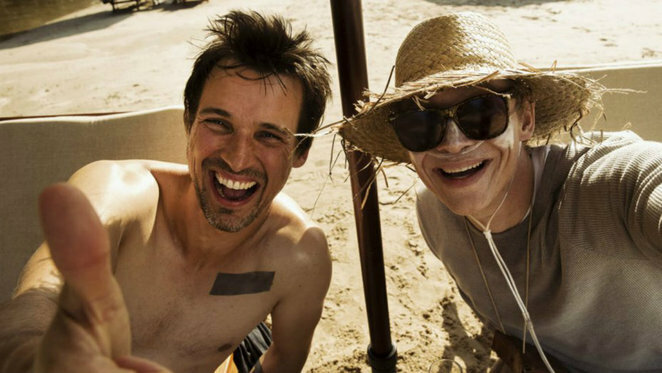 A 113 minute long comedy/drama starring Matthias Schweighöfer and Florian David Fitz, whom also wrote and directed the film, it's enjoying its Australian premiere moment at the 2016 German Film Festival presented by the Goethe Institut Australien. Be sure to catch all the other amazing German films before the end of festival at the end of this month. 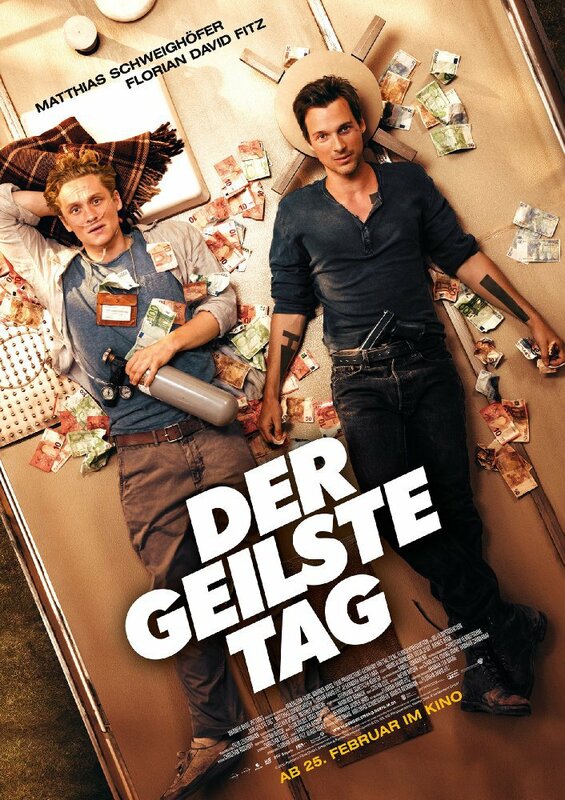 Andi (Mathias Schweighöfer) and Benno (Florian David Fitz) are two young men whom have been diagnosed with terminal illnesses; their last days speeding towards them. Egged on by the more mischievous Benno, Andi soon finds himself embarking on the trip of a lifetime with Benno. This is their story; two young men with nothing to lose, deciding to escape reality, risk it all and experience their most beautiful day. Benno has an incurable brain tumor and has suffered from narcolepsy all his life. Andi, pulmonary fibrosis, with no immune system left. When they first meet, their rapport is a bit antagonistic, but that doesn't stop them from committing a few crimes together to gather some funds for their road trip to Africa. The union of the two men makes Andi's initial boring blogging about his terminal illness take off in popularity as they gather and share their adventure on social media. Benno has a lot of regrets about the things he didn't do in his life and secretly works at making some recompense. Andi is yet to experience 'living' a full life, but is provided with more than a few hairy moments by Benno that include British chicks and hanging off scaffolding; though don't go looking for the reality of how they got up there. He has a few moments of his own, like encountering a stowaway and coming face to face with a lioness (like I said, just enjoy the fantasy moment) out in the African wilderness. Enjoy the ride with them as they bounce between a few hilarious situations and some serious soul searching moments of discovery. Matthias may have had first billing, but it's apparent that Florian is the real star of the show, with Matthias providing the comedic relief. However,this is just semantics as both stars bounce off each other well and appear to have a natural rapport that works for the film. I especially love Matthias' high-pitched screams of terror when faced with oncoming disaster, and it drew laughter from the audience every single time. As a matter of fact, the whole audience were having more than few good belly laughs throughout the film. This dramedy thank goodness didn't focus solely on the drama nor tried to tug at too many heartstrings. It works perfectly with more comedy than drama, making it a very enjoyable film you should not miss. The cinematic experience and the soundtrack is the cherry on top.